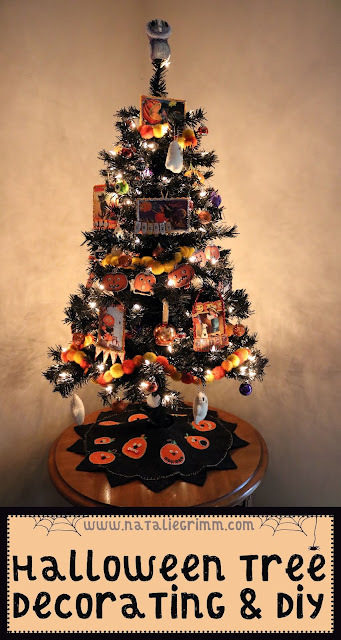 I picked up a table-top black Christmas tree last winter, and decided to decorate it for the Halloween season. 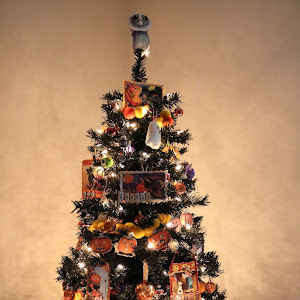 I was able to hunt down some ornaments for it, but quickly realized I was going to need to make some as well in order to fill the tree. 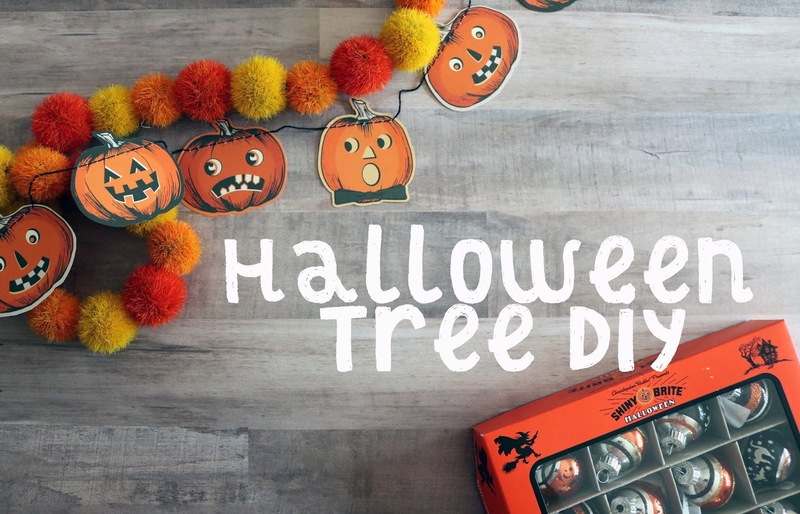 Here are a few easy DIY ornaments for your own Halloween tree too ! These springs of colored gumballs are from Hobby Lobby's floral selection this fall. I love how they look similar to felted ball garland--only more textured looking and way less time consuming to make yourself. All you need is some kind of thread (or I used twine--because I use it in all my fall decorations), the gumball sprigs, and a needle. Carefully pop off the gumballs from their plastic wiring first. Measure out how long you want your garland to be, cut the needed amount of twine, and tie a loop knot at one end. Because these fake gumballs are styrofoam on the inside threading them onto the twine with a needle is easy-peasy. 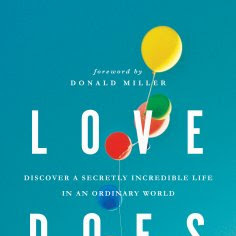 When you get to the end, finish it off with another loop knot, and it's done. 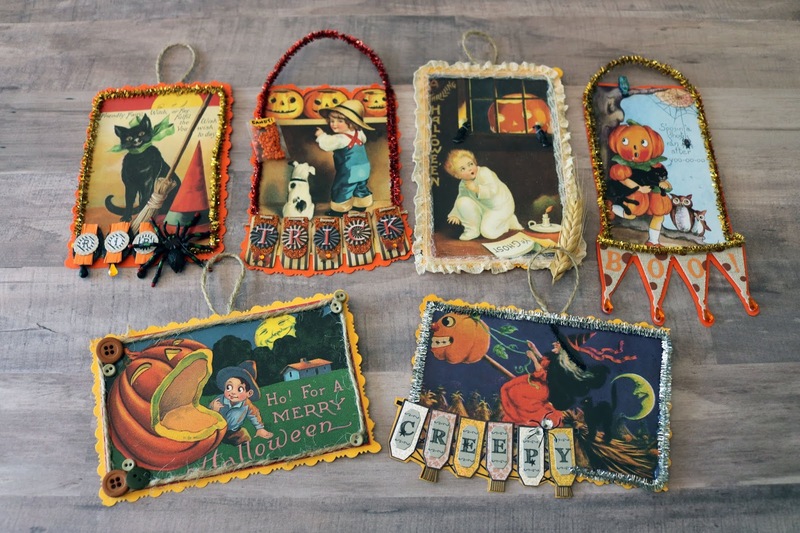 The first type of ornaments I made this year, were these painted Halloween wood plates I picked up at Michaels. 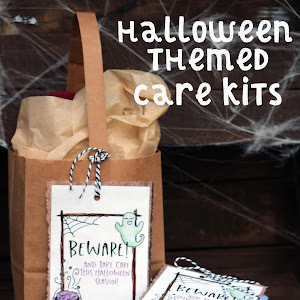 You will also need bakers twine (or whatever lace or thread of your picking) and colored card stock paper. Trace around the wood plates onto the card stock their shape. Then cut them out of the paper. This is going to be the backing of your wood plate to hide the glue used to attach the twine hanger. Cut the twine down to the size you want to use for your loop when it hangs, and hot glue it to the back of the wood plate. 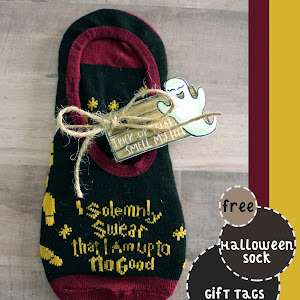 Then you will glue the paper backing as well to the plate, and then hocus pocus--they're done in less then a few minutes. 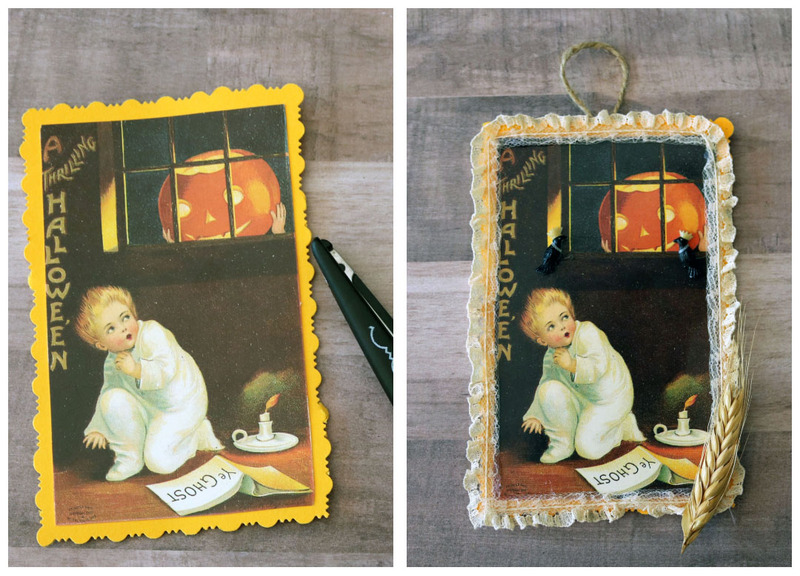 Next up are these old-fashioned stylized Halloween postcard ornaments. You can buy a booklet of these postcards here from Amazon. The supplies I used to embellish these were glitter, card stock paper, and an assortment of ribbon or twine and trinkets. 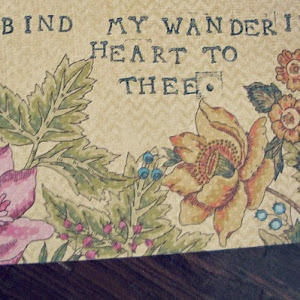 Start by punching out the postcards you like the best, then to reinforce them, layer them with an adhesive to a piece of card stock. I then trimmed mine with a decorative border. All that's left then is to add embellishments and a ribbon or twine hanger at the top, and you're set! This year I saw so many adorable garlands--many of which one could easily dismantle and make into a set of ornaments for your tree. I picked up this felted ghost garland in at home goods and carefully separated the ghosts from the jute. Thread through each one with some bakers twine to make hangers for them. 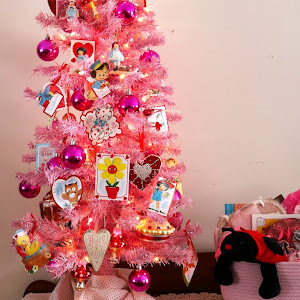 To see the ornaments and garland on the tree as well, click here. If you have your own Halloween tree, leave me a link in the comments below--I'd love to see it!